I just got MyGlam bag in the mail today. I think I skipped a month and didn't post MyGlam bag in July. 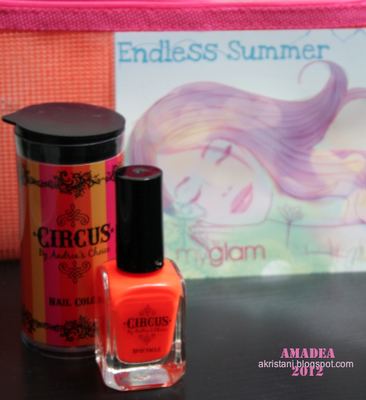 The theme is pretty similar, summer-y products. I love how the card in this month's bag features Michelle Phan's drawing. She is truly an artist! For those who don't know who Michelle Phan is, she is the most subscribed beauty guru on Youtube. She also founded Fawn, Inc. and MyGlam.com. She also one of Lancome spokesperson/makeup artist. In such a young age, she is really successful doing what she loves. Dream, Believe & Make it happen! This nail polish will launch in the Fall. 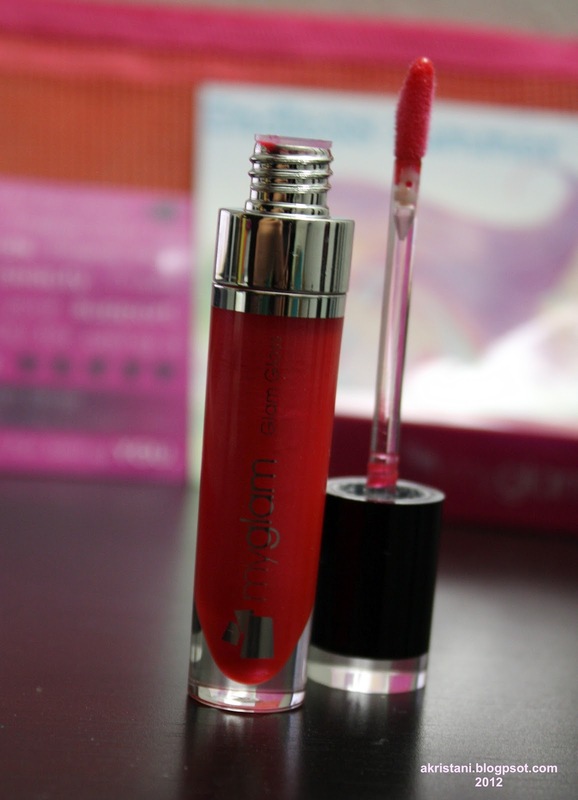 It's not for sale yet, but I already got 2 different shades from the MyGlam subscription. This is nail polish by one of the youtube beauty guru who also works together with Michelle Phan. You can check her out at Andrea's Choice. I've never heard of this brand before. They use plant stem cells extract from a rare Swiss apple that is believed to have tremendous ability to stimulate skin stem cell, encouraging aging skin to behave like younger skin. Again, I've never heard of these two brands before. But I guess that's the idea of this monthly subscription which allows us to try new things including brands that we didn't even know existed. The perfume smells nice. As for the mineral eyeshadow, I must say the packaging makes the product look cheap. It's a loose mineral which is blended by hand, said the website. The color I got is a shimmery white shade, which might be good for highlight or a little pop of glam. This one is an added bonus. 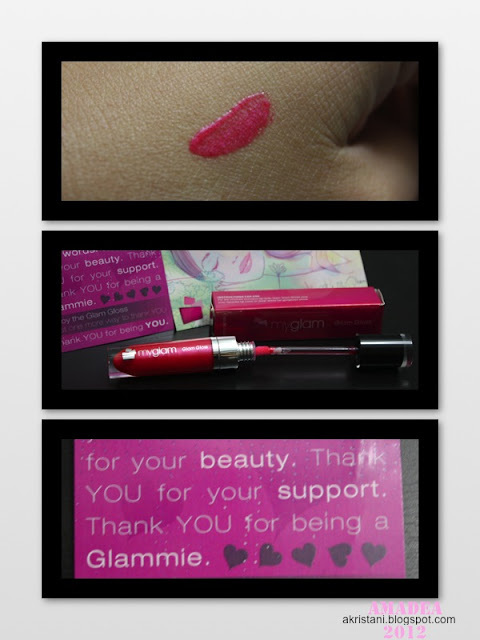 I got a card which says that the MyGlam team gives this glam gloss as a thank you. It's pretty cool. ♥ I finally purchased my very first SLR camera and just bought a new lens for my new, uhm, toy. It will be my new project to learn and love.